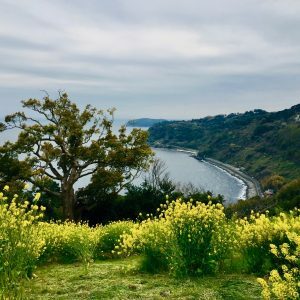 The mountain resort of Hakone is to Tokyoites what Long Island is to New Yorkers – a tranquil refuge for work-weary urbanites in need of physical and spiritual restoration. 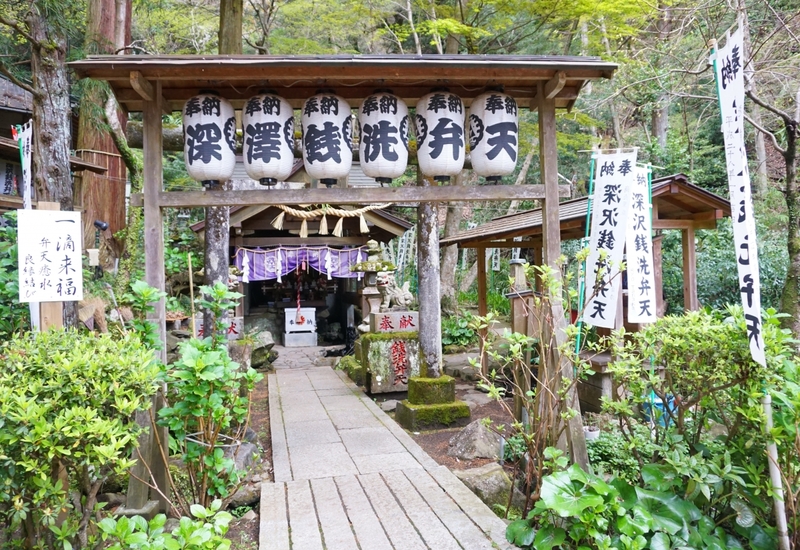 In past centuries, Hakone was a post station where travelers could rest on their way along the Tokaido highway connecting Kyoto with Edo (Tokyo), a route widely popularized by Utagawa Hiroshige’s ukiyoe series, the Fifty-three Stations of the Tokaido. We recently booked an overnight break in Hakone and decided to go by train rather than car, leaving Tokyo’s Shinjuku station on the curiously name Odakyu “Romance Car” express train in the early afternoon. At Yumoto, Hakone’s main transport hub, we hopped on the quaint Hakone Tozan Railway train, which runs from Yumoto, which is 108m above sea level, to Gora, which is a good 445m higher, at 553m above sea level. In order to make the steep ascent, the little train follows a zigzag route, changing direction at switchbacks along the way. Not surprisingly the train is slow, chugging its way up the steep mountain at a leisurely pace, which lulls passengers into vacation mode. The journey is punctuated by a stop of five minutes or so halfway up the line, so that the driver and conductor can trade places at the switchbacks. The Fukazawa Zeniarai Benzaiten Shrine is right on Tonosawa Station. Washing your money in their spring water is said to improve your financial fortunes. At Gora we took a cable car to Sounzan, just a few short stops up the mountain, and arrived at our lodgings for the night with plenty of time for a cold beer and a good soak in the hot-spring baths before dinner. 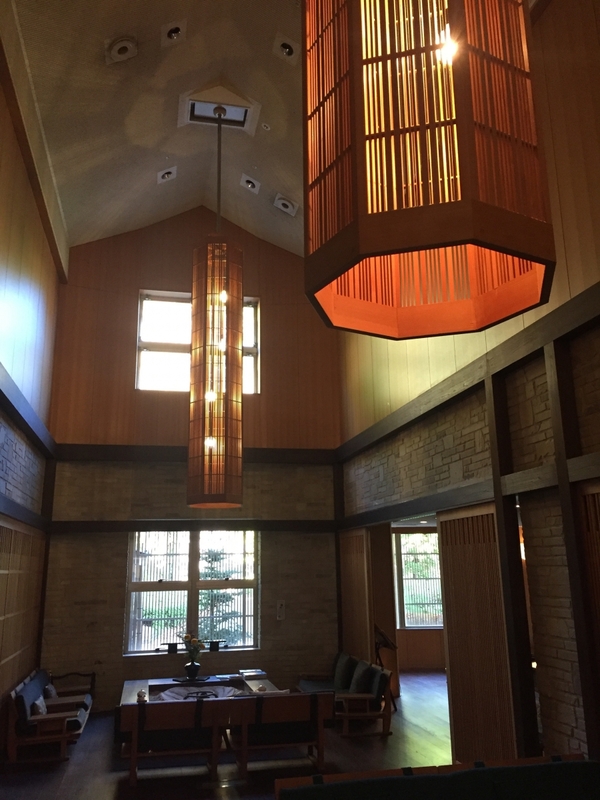 Massive lanterns hang from the ceiling of the hallway at Hanaougi. We had reserved a suite for the occasion – a rare family trip – at Gora Hanaougi (強羅花扇), an elegant ryokan, or Japanese-style hotel, a stone’s throw away from Sounzan station. 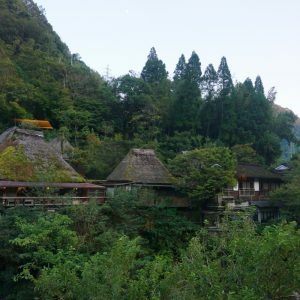 When it comes to accommodations, visitors to Hakone are spoilt for choice, but Gora Hanougi ranks high on my list of favorite hotels in the area. As soon as we arrived, we were greeted by a surprising number of smiling staff, ready to take our bags, straighten our shoes (which we took off at the entrance, in typical Japanese style) and generally pamper us. 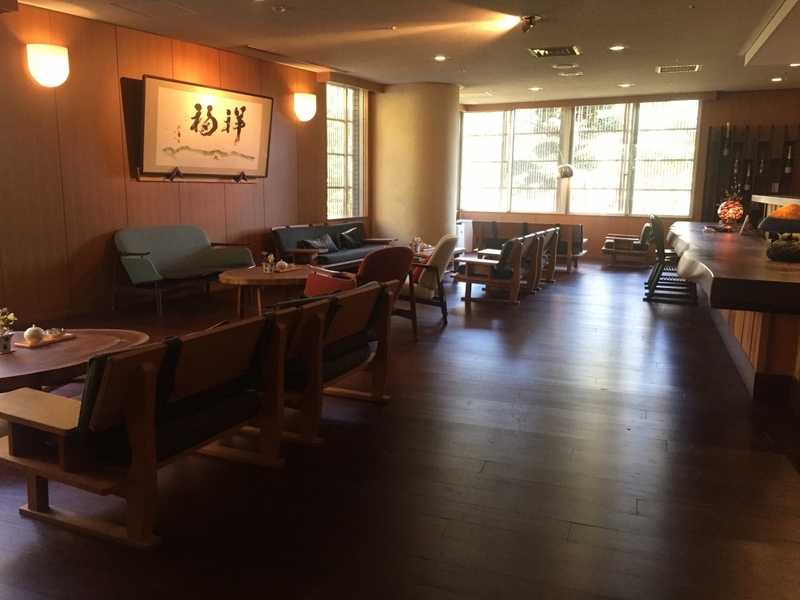 The lounge at Hanaougi has an old-time ambience that is immediately relaxing. After a welcome drink in the lounge, where we also dealt with the check-in paper work, we were escorted to our spacious room, which had a magnificent view of the surrounding greenery and an inviting outside hot-spring bathtub. The view from our room of the surrounding mountains, which were just beginning to turn color. 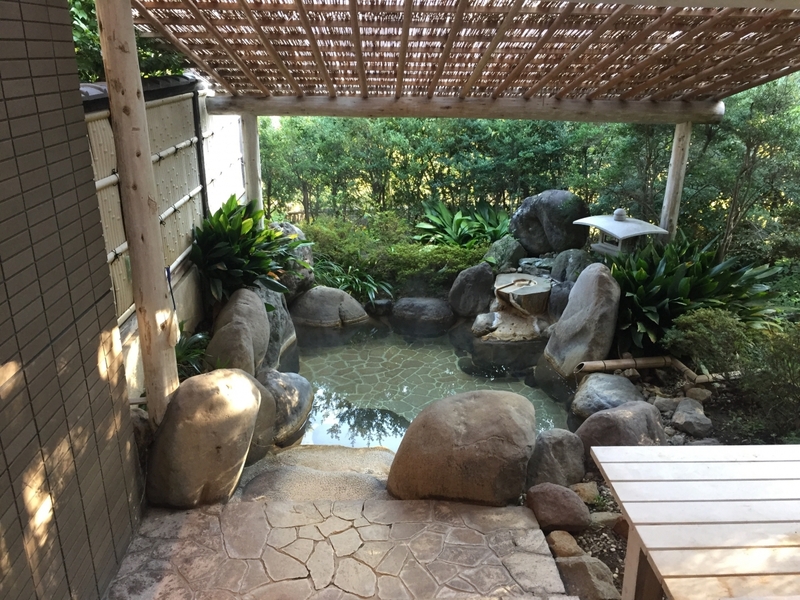 Although every room at Hanaougi features a rotenburo, or open-air hot spring bath, there are, of course, spacious public baths on the grounds, complete with lounge chairs to cool yourself on, if you have spent too much time soaking in the hot water. One of the open-air baths at Hanaougi. As with many Japanese ryokan, dinner is served rather early at Hanougi (we started at 19:00), in private dining rooms, but the upside is that it allows guests plenty of time to jump back into a hot tub of their choice, whether inside or outside, private and cozy, or public and spacious, after a fine Japanese kaiseki, or haute-cuisine style meal. Dinner began with an assortment of appetizers. 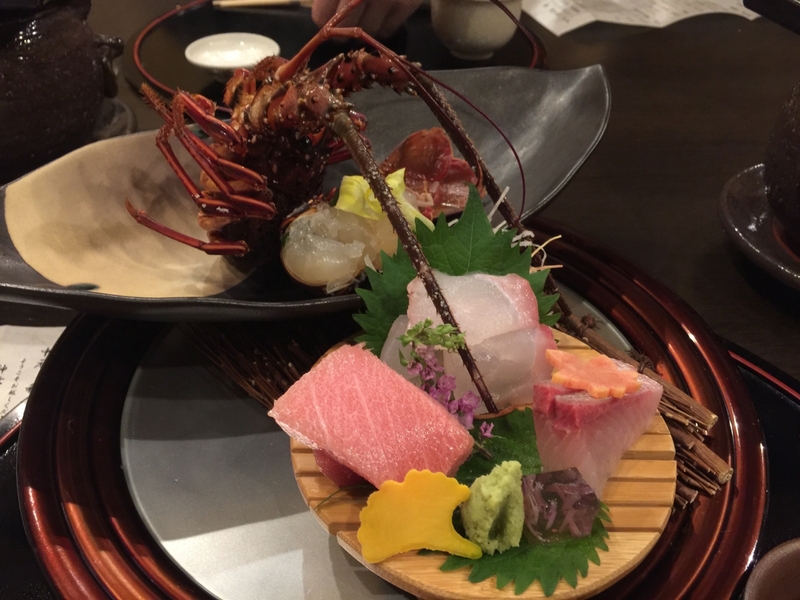 The sashimi (raw fish) course featured lobster, grouper, greater amberjack and bluefin tuna. The next morning was a glorious autumn day, with not a cloud in the sky, so after a leisurely breakfast and another dip in the hot baths, we decided to explore the Onshi-Hakone Park in Moto-Hakone, which offers spectacular views of Lake Ashinoko, the Hakone mountains and Mt Fuji in the distance. 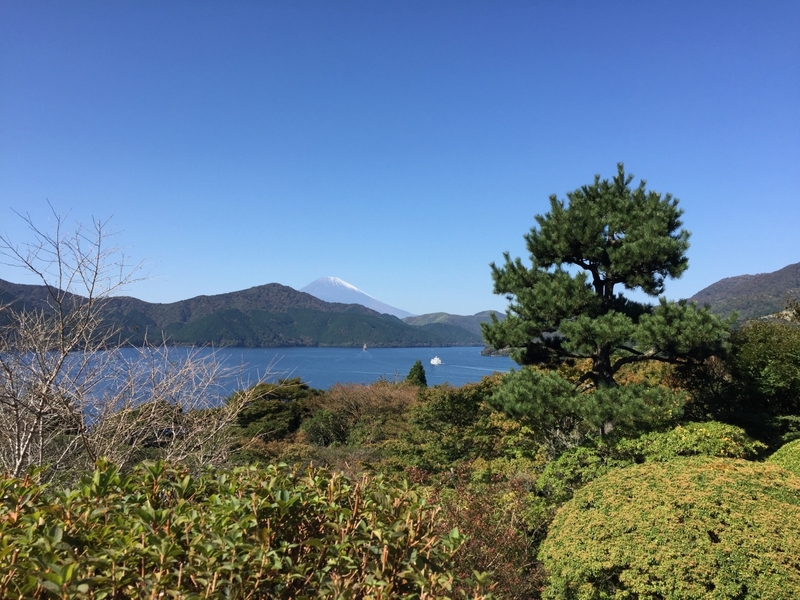 A view of Lake Ashinoko from Onshi-Hakone Park. 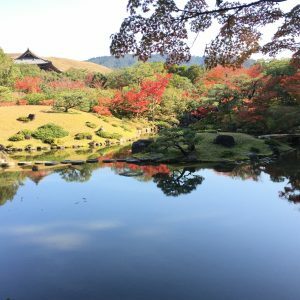 We left the park with some time to spare before our lunch reservation at Kihinkan, a soba, or buckwheat noodle, restaurant housed in a splendid Japanese villa, so that we could stroll through the villa’s beautifully manicured garden. The Kihinkan villa seen from the garden. 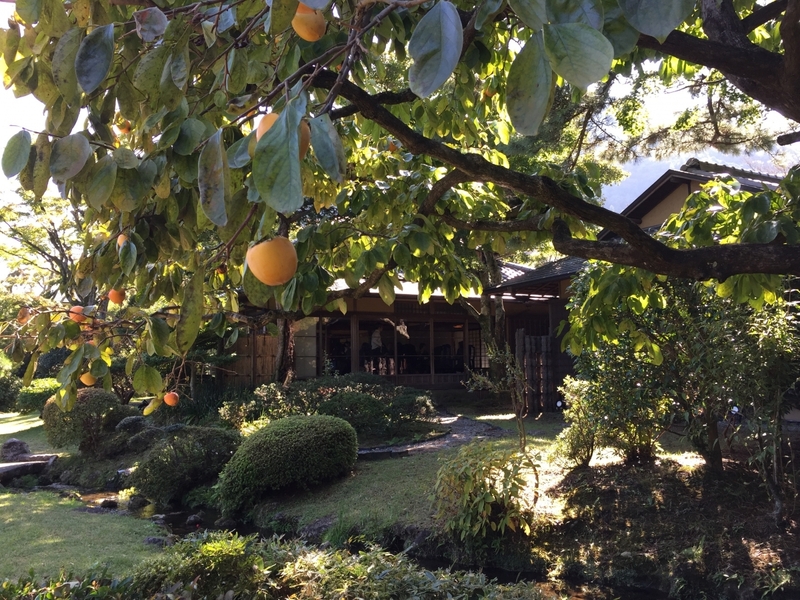 The villa was built in 1918 as a second home for Baron Heitaro Fujita, the founder of Fujita Kanko, a leading hospitality company, which currently owns the property. In the same year, Baron Fujita also acquired Chinzanso, a massive estate in the middle of Tokyo, from Prince Aritomo Yamagata. Today, Chinzanso, which means “villa on a mountain of camellias” is the site of a luxury hotel complex built around its famous botanical garden. 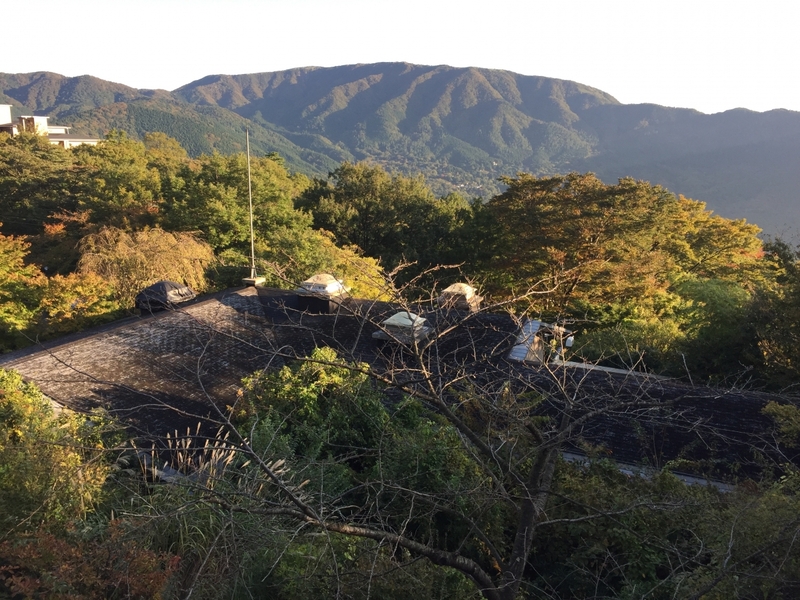 Back in Hakone, Baron Fujita recruited carpenters as well as gardeners from Kyoto to create his mountain resort, which is part of the Kowaki-en Hotel complex. The garden gate leads to the entrance of Kihinkan. 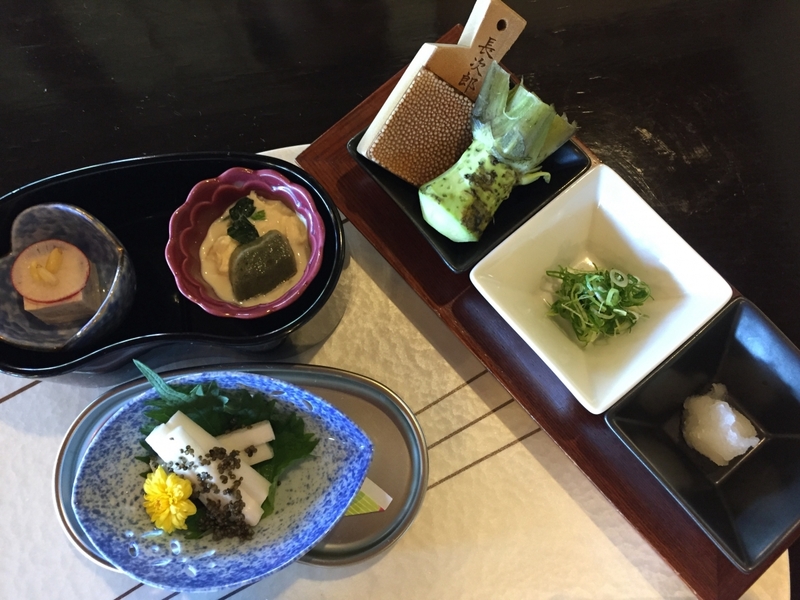 At Kihinkan, we enjoyed a hearty meal of small tofu and vegetable dishes, tempura and soba in a charming Taisho-era room with a view of the garden. The main dining room at Kihinkan with views of the garden. Our appetizer of sliced yam, tofu and yuba (tofu skin) came with fresh wasabi, which is also used to add piquancy to the soba. It is always great fun to visit the Hakone Open Air Museum, which boasts one of the world’s largest collections of sculptures by Henry Moore and other great artists; but in a bid to beat the evening traffic jam we left Hakone soon after lunch, sufficiently reinvigorated to once again face the hustle and bustle of city life. 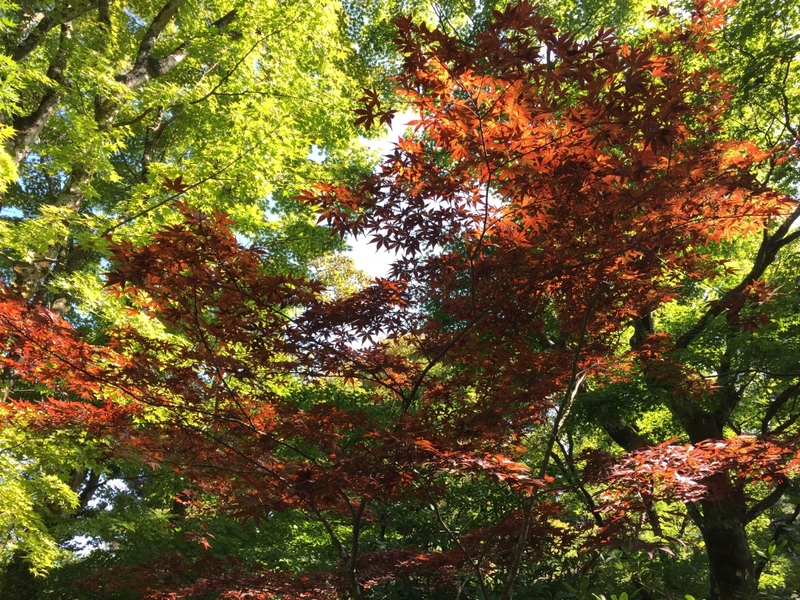 Early signs of autumn in Hakone. 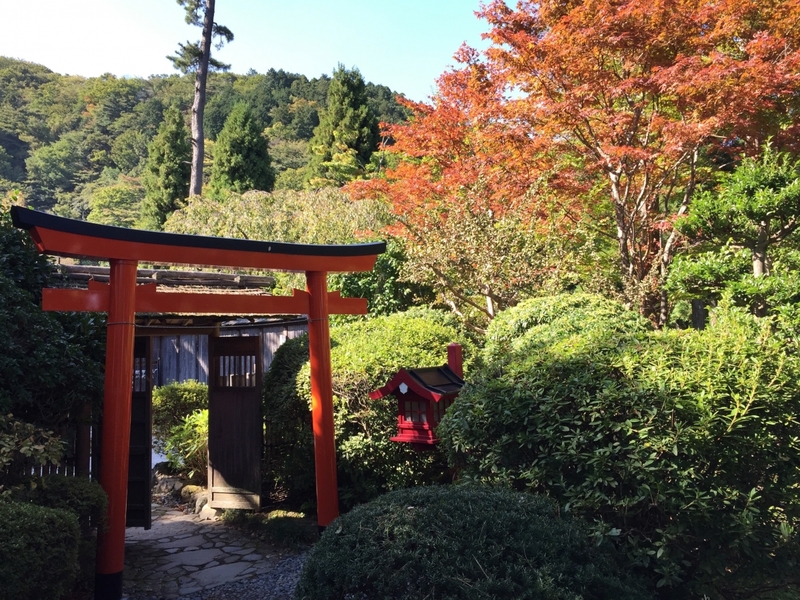 The peak fall foliage season in Hakone starts in mid-November. Rates start from around Y36,000 per person (three people staying in one room) including dinner and breakfast. From Tokyo’s Shinjuku station, take the Odakyu Romance Car to Hakone Yumoto. From Yumoto, take the Hakone Tozan Railway (Japan’s oldest mountain railway) to Gora. From Gora take the Hakone Tozan Cable Car to Sounzan. There is a private elevator on the other side of the parking lot outside Sounzan station that leads to the hotel. It takes up to about three hours from Shinjuku depending on connections. Hanougi will also pick up guests at Gora Station. 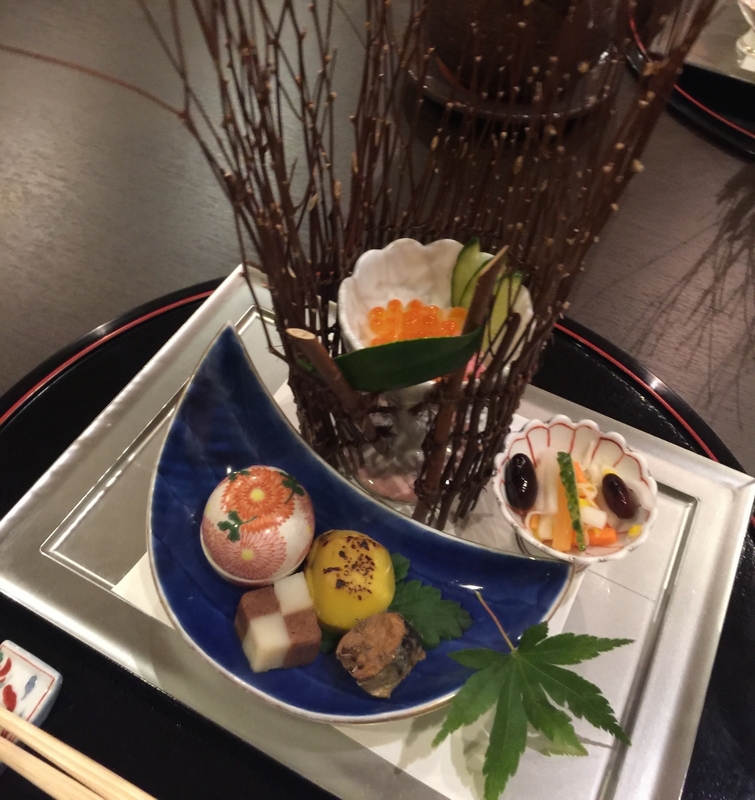 Y1,86o for a lunch of appetizers, cold soba and dessert.